If you prefer to fill out your new patient paperwork once you arrive, that’s perfectly fine as well. We look forward to meeting you! 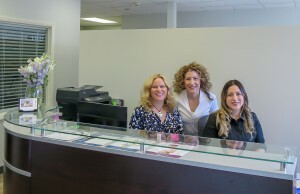 When you arrive for your first appointment, Danielle at the front desk will warmly greet you. She will collect the paperwork you filled out at home or assist you with filling out paperwork in the office as well as make copies of your health insurance cards; and discuss your insurance benefits with you. At the end of your visit, you’ll return to the front desk. Danielle will help you check out, and she will discuss payment options, set up your treatment plan dates and schedule follow-up visits. Occasionally patients have been referred out for X-rays or MRIs. If that’s the case for you, your second visit will be an opportunity for the Doctors to share what they learned from the diagnostic report, and for you to ask questions. This will help us determine if we should go ahead with the treatment plan discussed in your first visit, or if modifications are necessary. In any case, all patients are adjusted and receive soft-tissue modalities at each visit. The specific techniques and therapies the Doctors will use depend upon your unique combination of condition(s), needs, tolerance and preferences. 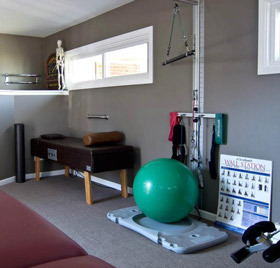 Dr. Cortney and Dr. Nancy both get adjusted regularly, even without pain or injuries, because they see amazing results in their overall health and performance, and because they view it as maintenance for their own well-being. We’re here to answer all of your questions about chiropractic! Contact us today to learn more or to schedule your first visit.